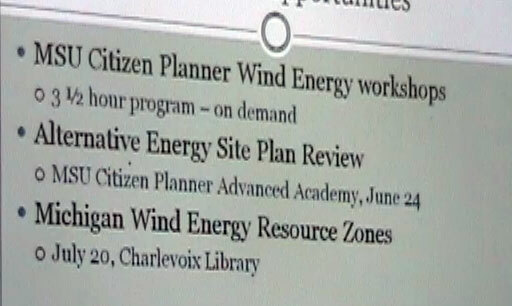 This program had been schedule since early on in the year. 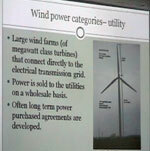 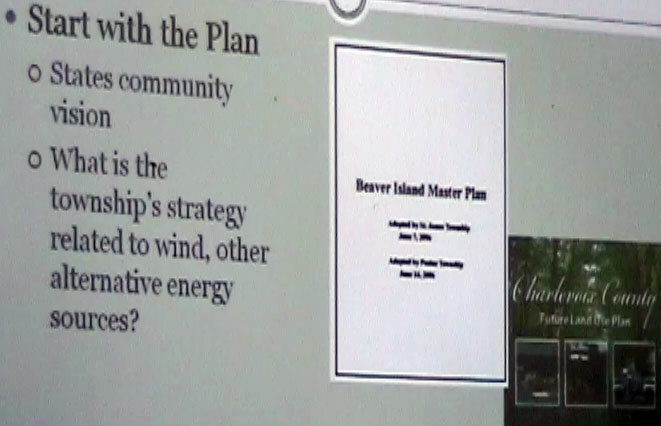 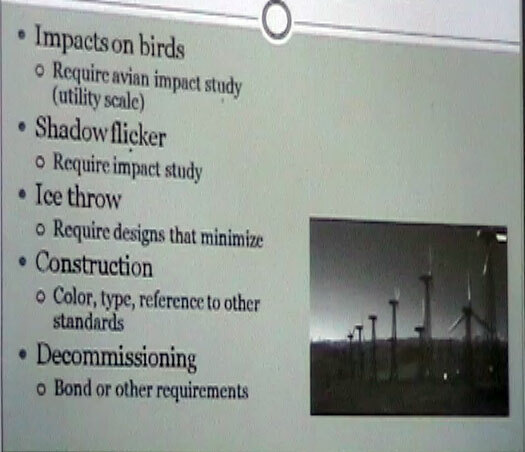 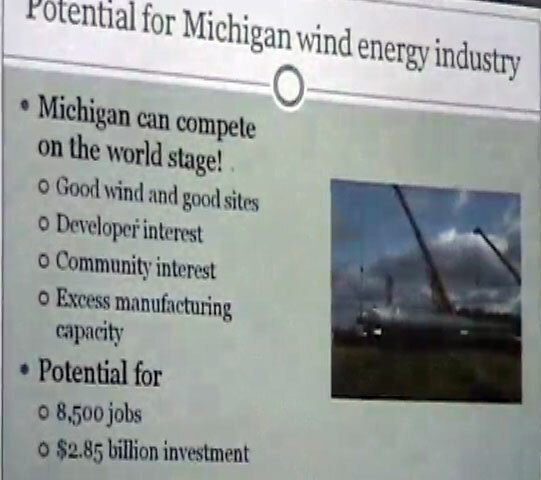 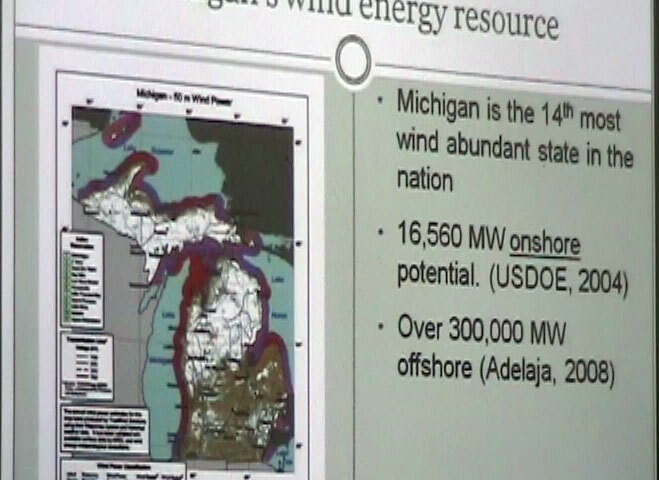 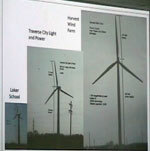 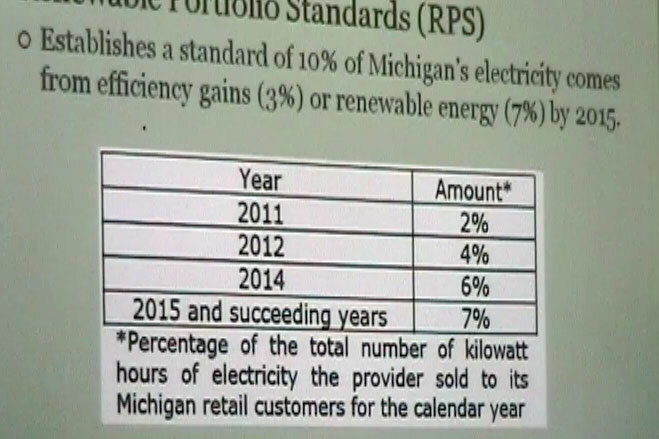 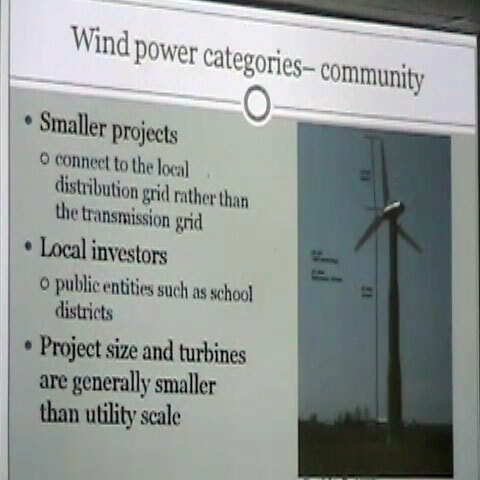 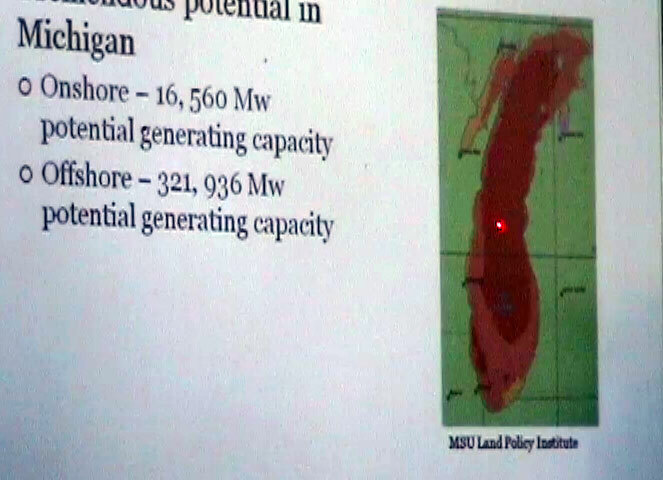 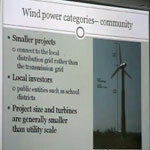 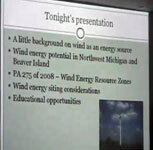 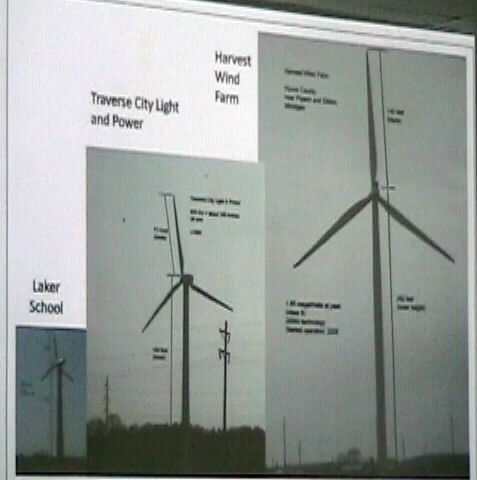 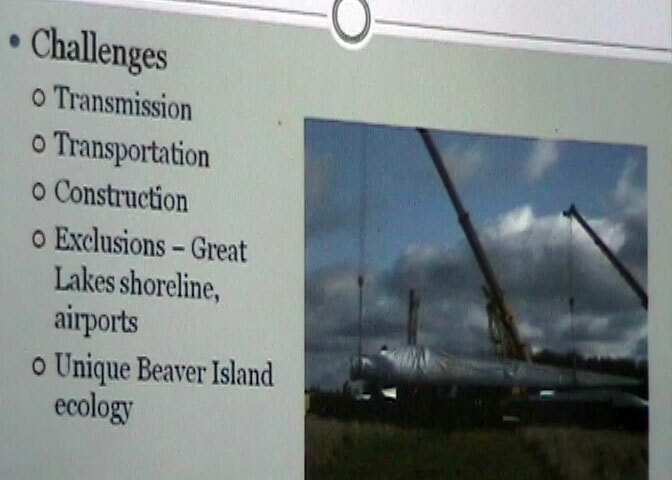 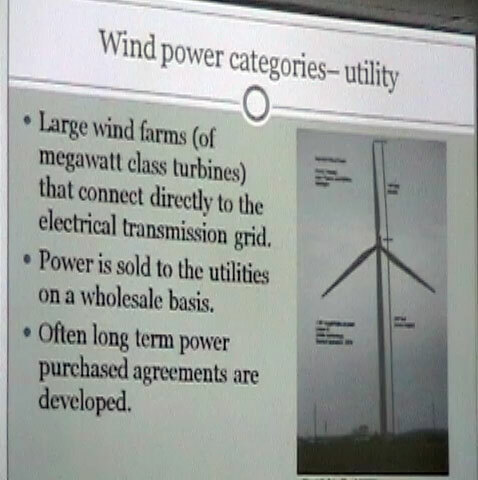 The presentation concentrated on the possibilities of wind generation of electricity on a commercial scale. 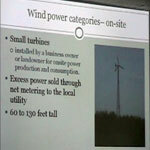 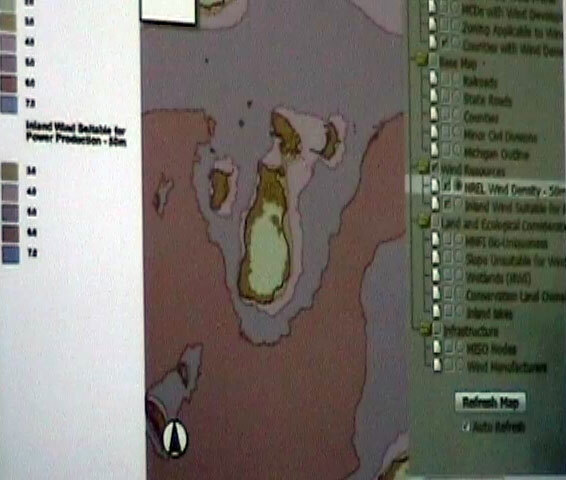 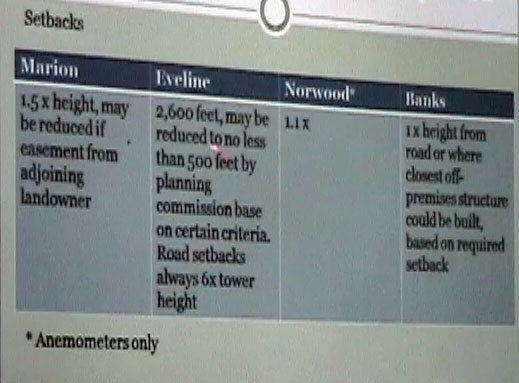 Here are the pictures of the PowerPoint slides with links to short video clips as well. 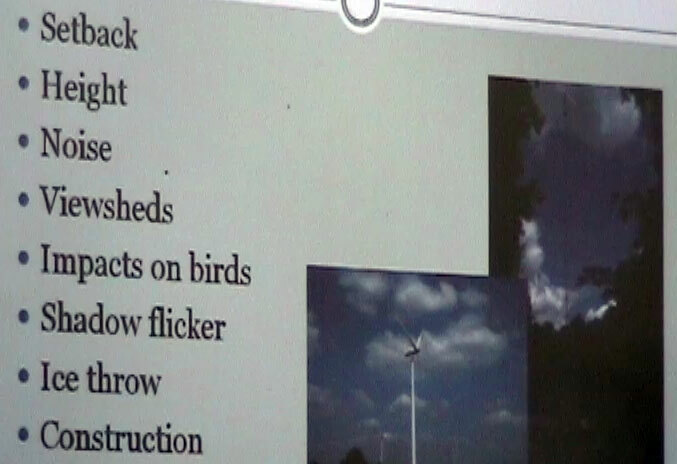 All video clips are Quicktime Streaming Video clips. 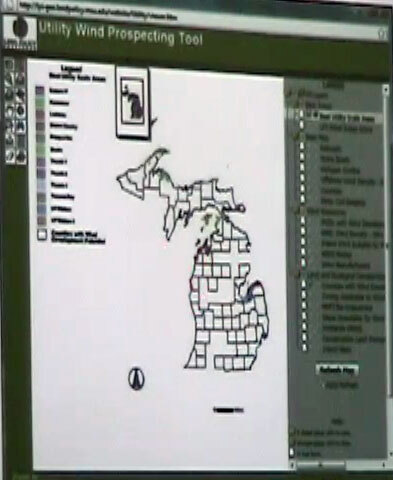 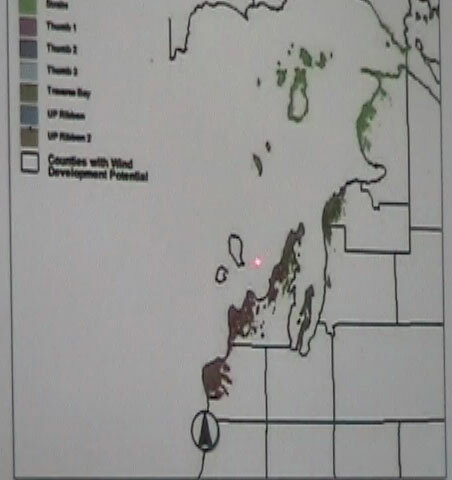 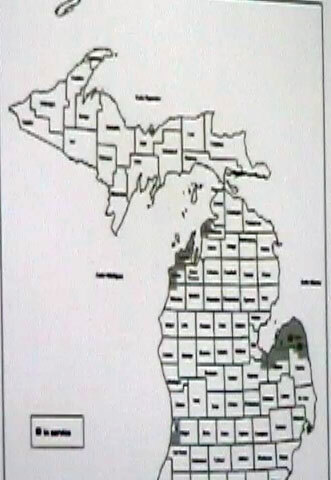 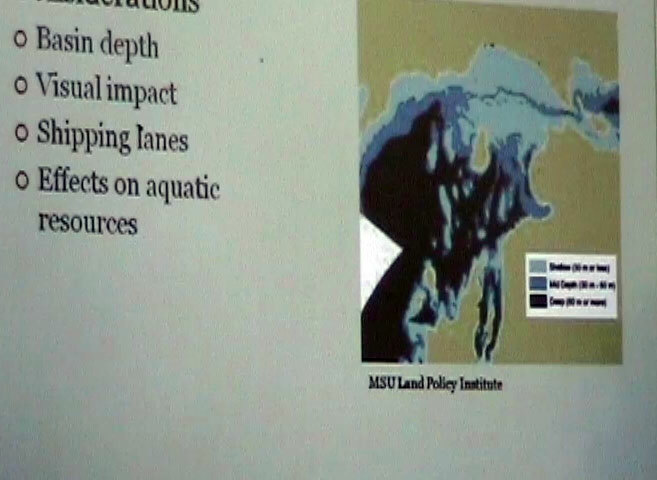 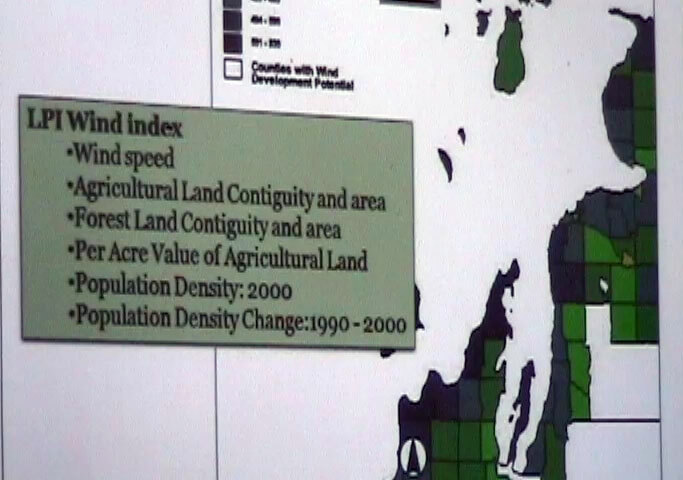 The presenter was Dean Solomon the MSU Charlevoix County Extension Agent. 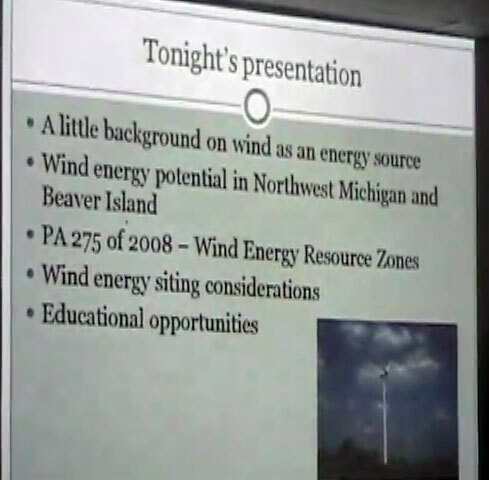 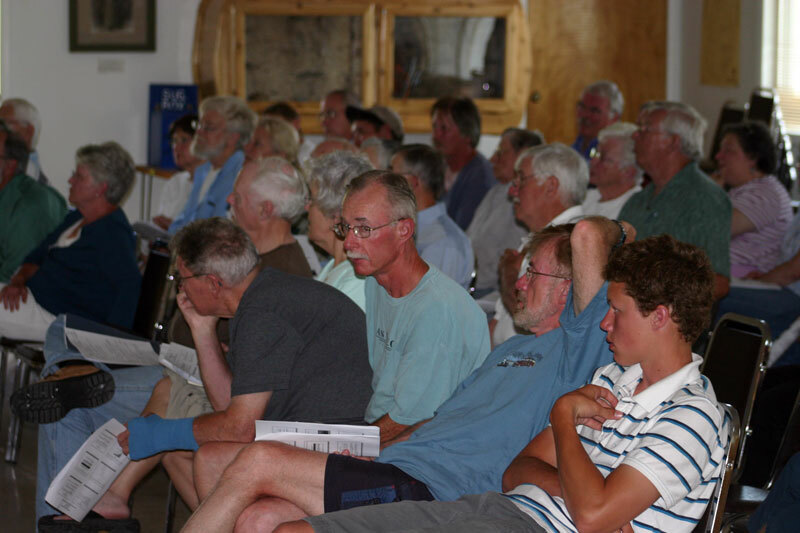 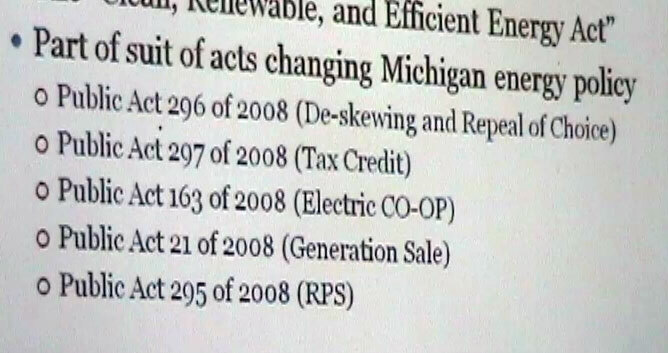 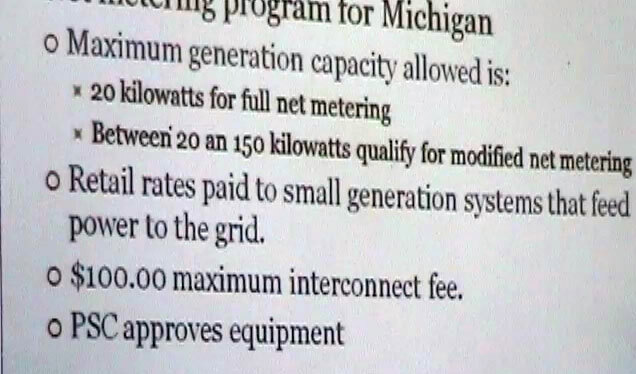 There were 44 people in attendance at this presentation.